While Google+ is not the most popular site on the 'Net, when it comes to social networks, is certainly one of the most important. This is especially true for local businesses, because maintaining a profile on Google+ not only helps brands connect with customers, but also makes a brand more visible in the search results. In fact, in May, the search engine giant integrated Google Places into Google+, which allows consumers to find, share and review local businesses on the social network. However, in order to get the best ROI from your Google+ profile, you must first optimize it with a local state of mind. It is vital for Page managers to optimize the About section of Google+ Pages, because this is not only where important information is displayed, including business descriptions, hours of operation and contact information, but it also provides Google with specific information about your business. That being said, it is important to note that Google launched some new updates to the Local Business/Place Pages in Google+ this week, including an update that allows businesses to once again add categories to their Pages. By maintaining a correct address and category information, businesses will be much more likely to show up in the location-based search results on the Web, as well as the search results that appear when someone uses Google+’s “Local” tab to search for specific types of businesses near a specific location. Most consumers take reviews and ratings into strong consideration when making a purchasing decision, which is why it is important for local businesses to not only leave a good impression on their customers, but also encourage positive consumer feedback. 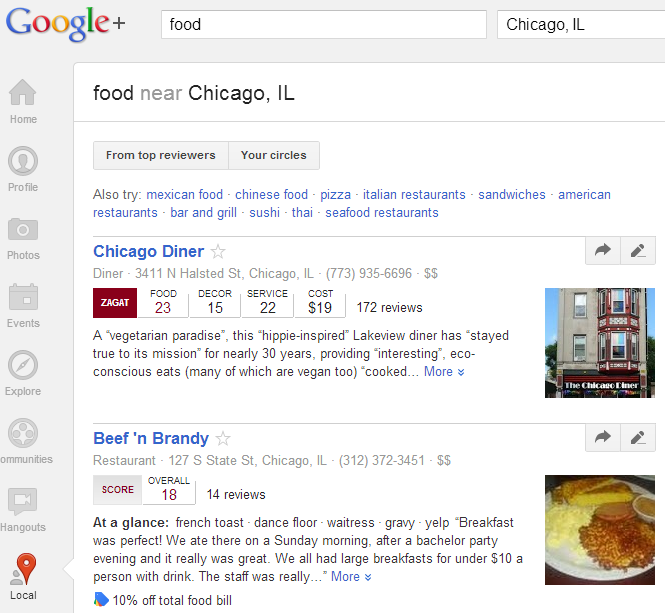 And with the integration of Google Places into Google+, this is more important than ever. This is because Google now prominently displays the Zagat ratings and reviews for businesses both on Google+ and in the search engine’s result pages. In fact, when searching for businesses through the Local tab on Google+, users can even filter the results based on top reviewers or by reviews from people in their circles. This means that consumers who search for your business on the ’Net are also most likely reading a few reviews about your company, whether they want to or not, because the reviews are readily available. That being the case, a multitude of reviews can help businesses not only benefit in the search results, but can also help encourage conversions. 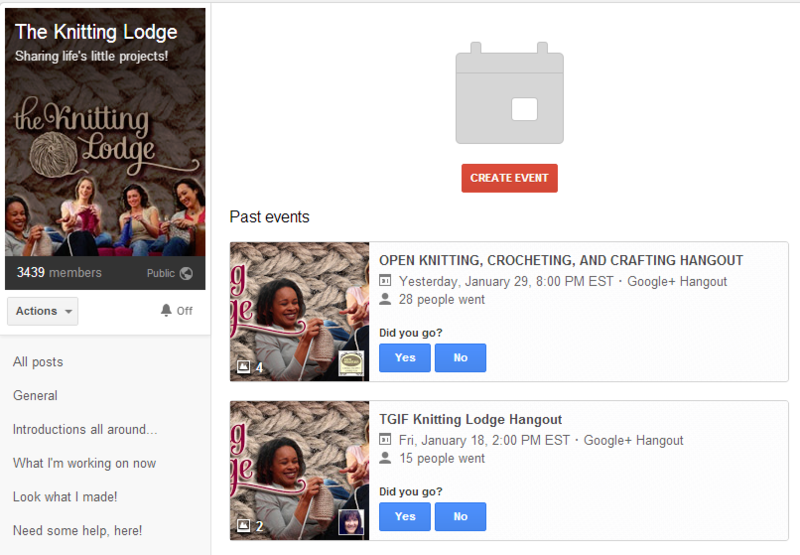 Google+ announced the availability of Communities at the end of 2012, which allows Google+ users to create social groups based on specific topic or interests. The best way that local businesses can take advantage of this feature is by creating a public Community to help them foster relationships with current and potential customers. In fact, brands can even further connect with their customers by creating Community Events or by participating in Hangout video chats within their Community members. Furthermore, chances are that content from public Google+ Communities could eventually make their way to the search results, especially since we all know how much Google likes to interconnect its services. Although daily deals aren’t nearly as popular as they were a couple of years ago, it is safe to say that consumers still love a good deal – when they see it. This is why it is a good strategy for local businesses to launch a daily deal through the Google Offers platform. 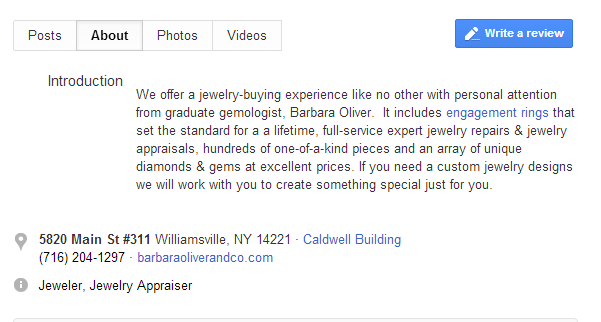 Not only does Google promote the offer through email and mobile apps, but the offers also show up in Google+'s Local tab search results (remember how we said Google likes to interconnect its services?). It is safe to say that Google has more updates and tools in store that will make it easier for local businesses to reach and connect with consumers in the future. In fact, Google’s Places for Business website states that the company will be making a lot of changes over the next few months to improve the local listings experience and bring the community, identity, sharing and relationships of Google+ to local businesses. The best way for local businesses to prepare for the updates is to optimize their current profiles and continue to engage their customers.